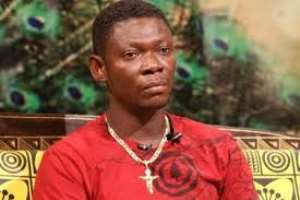 Popular Ghanaian actor and comedian Kofi Adu known in showbiz as Agya Koo has revealed in a recent interview that life became unbearable for him when he was sidelined by movie producers. According to the veteran actor, he has been absent from the movie scene for almost seven years which was unexpected which affected his finances. “I went through some financial challenges when I was sidelined because it was unexpected. My wife is currently living outside the country and she supported me through those hard times. I wasn’t able to offer help to people I use to but I was able to go through”, the actor disclosed. Agya Koo also stated that some people were behind his absence from the movie industry but he will address it at the appropriate time. The veteran actor has starred in 90 movies and has carved out a niche for himself in the Ghana movie industry. Agya Koo was a shoemaker and was discovered on a Ghanaian comedy show on GTV at the National Theater in Accra where he worked as a part-time comedian. In July 2008 he was given a National Award by former president John Agyekum Kufuor and is currently married to Rita Asiedu in London. He has appeared in many Ghanaian movies such as Obaatanpa, Black Star and Ma Trick Wo. Adu is originally from the Ashanti Region of Ghana, but lived in a suburb of Accra Newtown called Asantewaa.